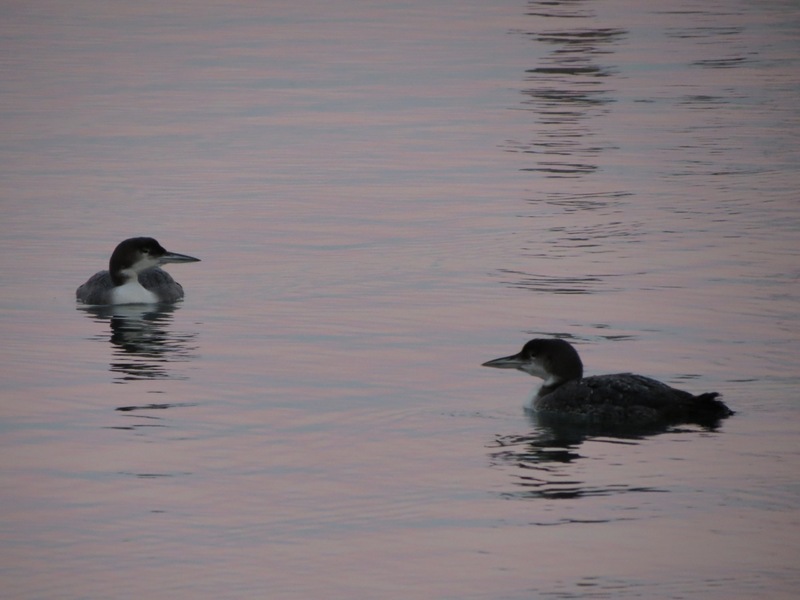 My first Winter in Boston – although it is cold – birding in Boston Harbor is excellent! 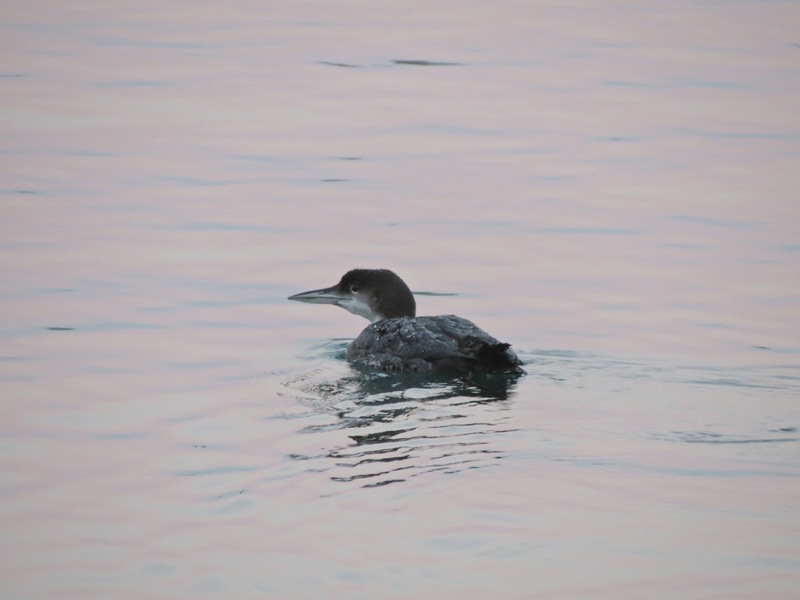 This evening I watched two loons in winter plumage feeding next to Central Wharf by the New England Aquarium. 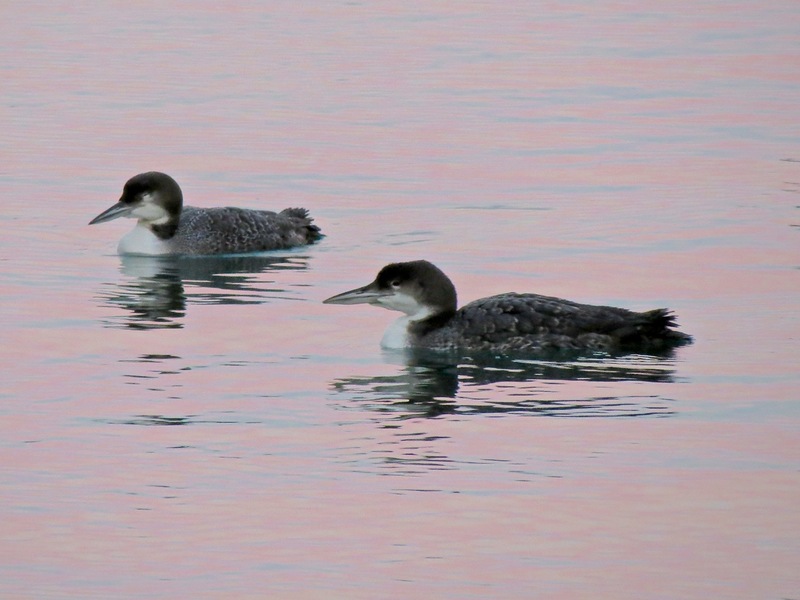 I stood on the packed snow and ice watching the loons as the light faded. 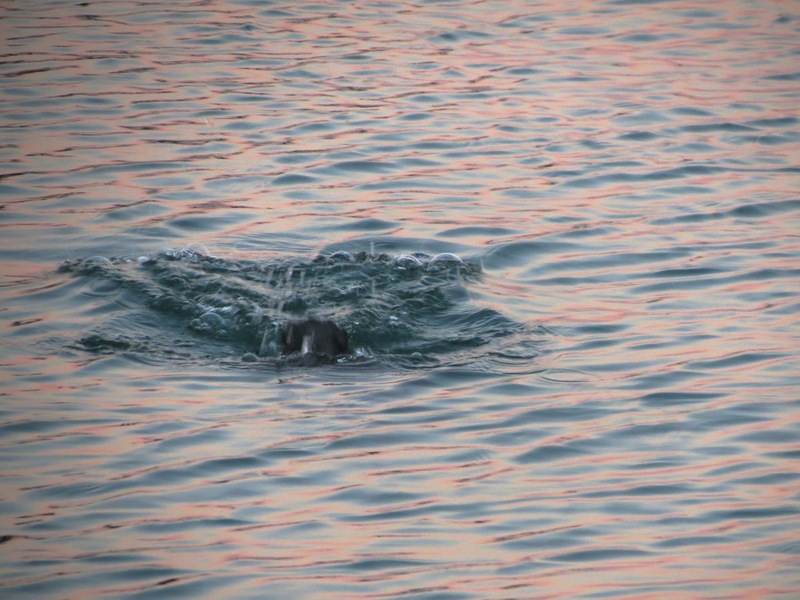 They came close to me – intent on diving for food. They both found crabs and other invertebrates. 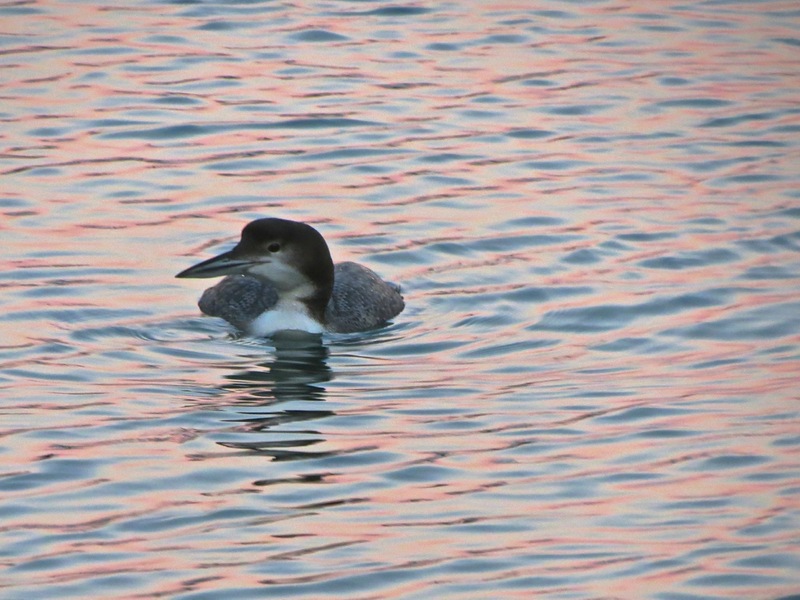 Loons are beautiful birds even in winter plumage. 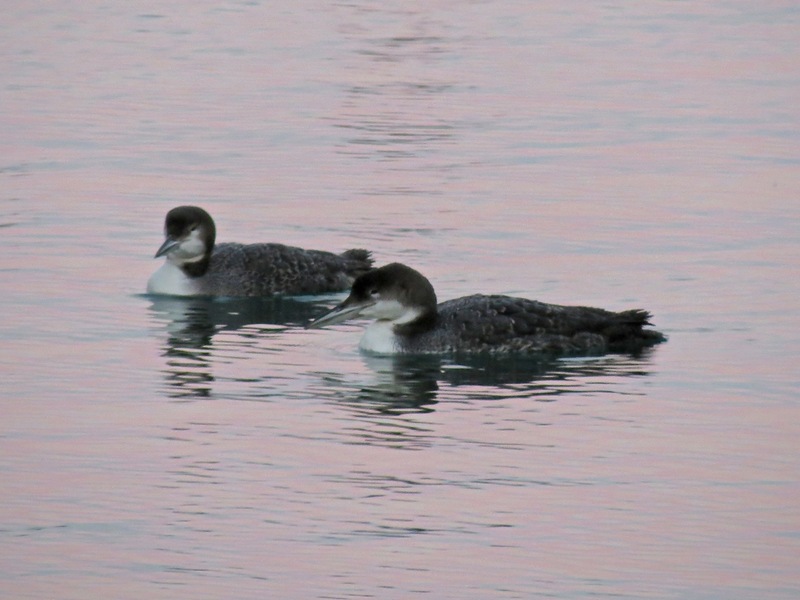 I think these two were Common Loons. 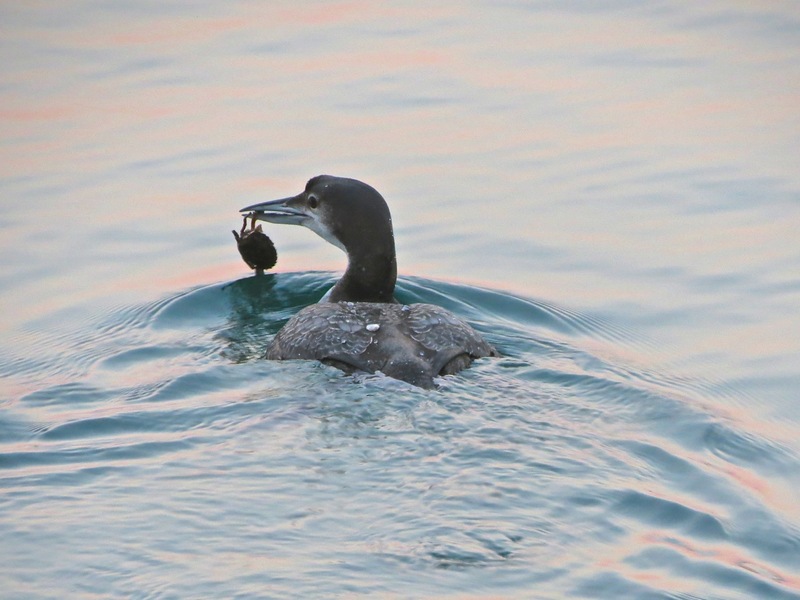 It was a delight to see these elegant birds so close to the aquarium. 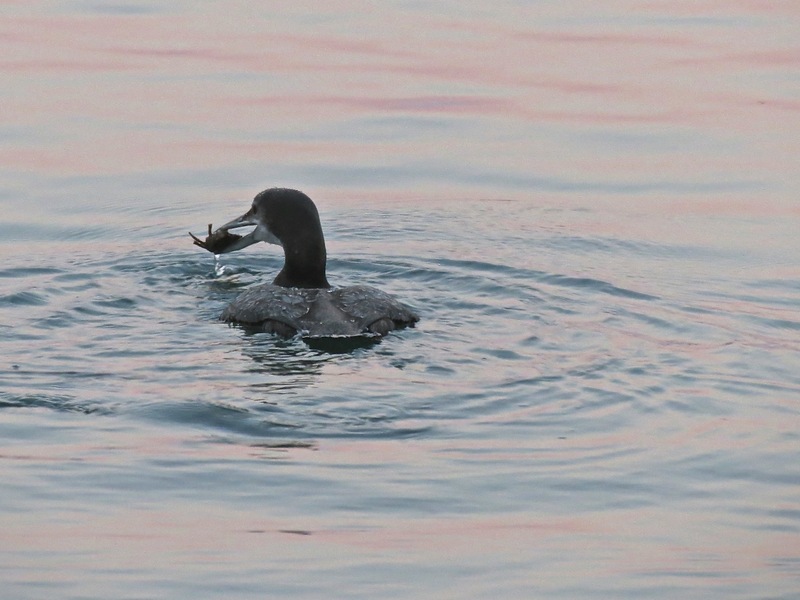 This entry was posted in birding, birdings, birds, Boston, environment, General, marine, Nature, ocean, outdoors, photography, wildlife and tagged bird, bird watching, birding, birds, environment, Flora and Fauna, invertebrate, marine, nature, ocean, outdoors, sea, wildlife. Bookmark the permalink.